Beatlefan Executive Editor Al Sussman offers some random observations on the early days of Sirius/XM’s channel devoted to The Beatles. Even some relatively obscure solo tunes are featured on the channel. But, with the growing popularity and portability of Sirius/XM, thanks in no small part to the presence of dedicated channels for Bruce Springsteen, Elvis Presley, The Grateful Dead, Pearl Jam, Jimmy Buffet, etc., a Beatles channel has long seemed a natural. Still, it required the “okey-dokey” from Apple and a waiver from the dreaded Digital Music Copyright Act, which restricts the number of songs that can be played by any one act in a given hour, on any form of radio. 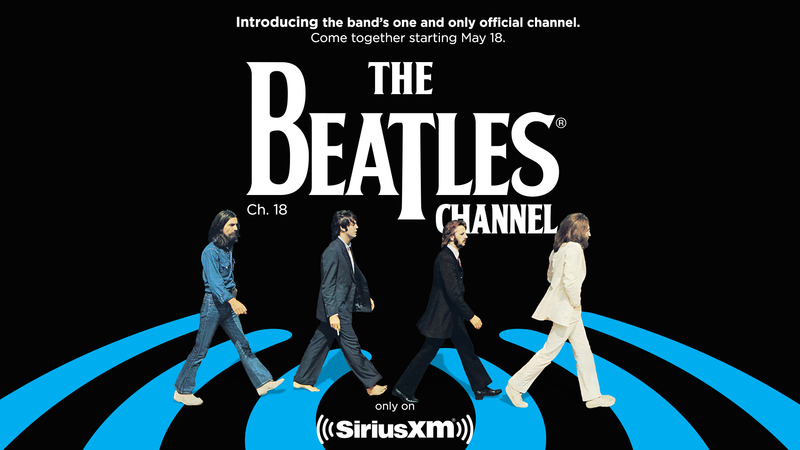 This has been a headache for programming Beatles shows on both terrestrial and Internet radio, but Sirius/XM obviously got the Apple endorsement that those other outlets don’t have. Of course, a steady diet of even the Rolls-Royce of pop music catalogs and selections from the solo works can take on the feel of a jukebox or an iPod on shuffle (already a quaint reference), especially since there were no air personalities for the first few days and still are none for most of the day as this is written. So, there are little between-songs sound bites — reminiscences by fans or Paul and Ringo, factoids by Chris Carter called “Every Little Thing,” standard radio segues, etc. And, as on the Internet Beatles formats, there are songs by artists who influenced The Beatles (“they were listening to this before they were Beatles”), the first of which was the recently departed Chuck Berry, and covers of Beatles songs, some old (Emmylou Harris), some new (The Beat Bugs). 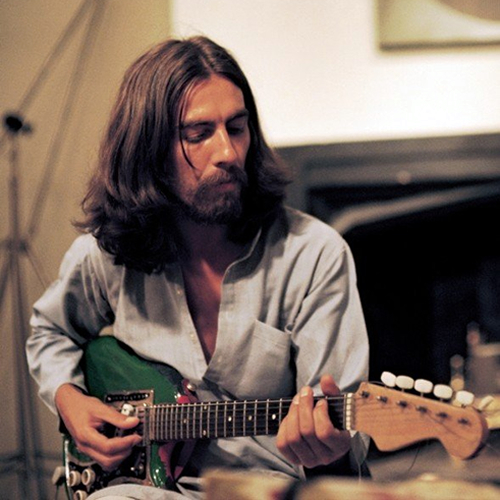 George Harrison’s “What Is Life” was the first solo track played. Of course, no launch of a new radio station or format would be complete without some bloopers, and I heard at least two. 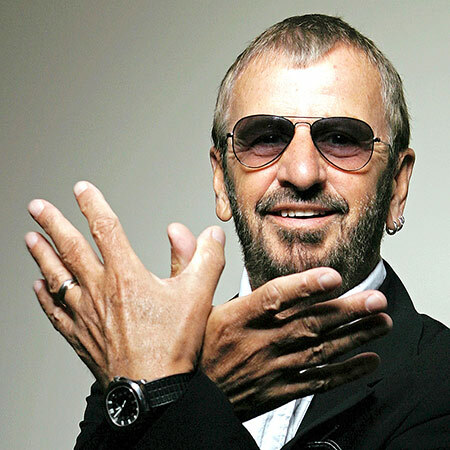 One of those sound-bite segues on the first day had Ringo Starr talking about how, during a series of Beatles recording sessions, time would be set aside for Starr’s customary vocal spot. That segued into … a live All Starr Band version of “No No Song.” Oops. That same day, one of the “The Beatles were listening to this before they were Beatles” tracks featured was Mary Wells’ “My Guy,” which was a hit single in the months after The Beatles’ initial conquest of America in early 1964. Of course, to be fair, only music nerds like me would even notice hiccups like these. Featured programs began on Monday morning, May 22, with the debut of a weekday version of Chris Carter’s “Breakfast With The Beatles,” which runs 8-11 a.m. ET. If you’re familiar with Carter’s long-running Sunday morning show on KLOS in Los Angeles, you know what the weekday show is like. Indeed, during that first week, Carter played a long set of the opening song from each original EMI/Apple Beatles album, a programming vehicle he uses every so often on the Sunday show. Wednesday night brought the debut of “The Fab Fourum,” basically a live two-hour talk show with some music elements (on the debut, that included some session material from the about-to-be-released “Sgt. Pepper” album) and phone calls, always a crapshoot (“Longtime listener, first time caller. … I think they should fire Jeff Jones…”). The show is hosted by longtime New York FM personality Dennis Elsas, a consummate pro, and writer Bill Flanagan, who’s not as smooth on the air and doesn’t have the greatest command of facts. Fortunately, they were joined in the second hour by Beatlefan’s Tom Frangione, who was so impressive that he was asked back for the second show. A live first show is always problematic, and the first-show jitters hopefully will be smoothed out in the weeks to come. On Thursday night, a one-hour show hosted by Peter Asher called “From Me to You” debuted. Those who have seen Asher’s in-person multimedia shows knows his Zelig-like role in the pop/rock world of the ’60s and beyond, and the debut installment, with Asher obviously showing some first-show nerves, really just hinted at the treasure trove of stories and music (and not just Beatles and Peter & Gordon) that Asher hopefully will be sharing as this series develops. 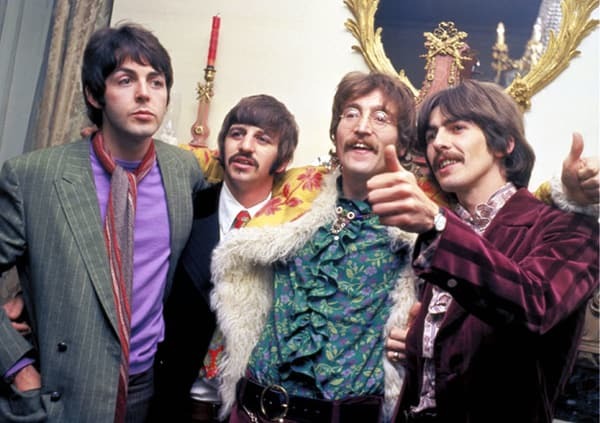 Other specialty shows on the schedule include “Get Back: The Beatles in Britain,” hosted by Geoff Lloyd; the Flanagan-hosted “Northern Songs,” a “themed playlist of hits and rarities”; a one-hour “Guest DJ” show; the half-hour “Magical Mini Concert”; and a daily “My Fab Four,” programmed by a fan or a celebrity. The 50th anniversary reissue of “Sgt. Pepper” provided the impetus for the Beatles Channel. And, of course, what Beatles-connected event in the 21st century would be complete without the Greek chorus of comments from the wonderful world of social media? While many were looking forward to the channel with nearly as much anticipation as for the “Sgt. Pepper” 50th anniversary splash, carping began almost immediately. Some of that, naturally, came from supporters of already-existing Beatles programming, both on terrestrial and Internet radio. There were comments questioning why solo material was being played (“Isn’t it supposed to be a Beatles channel?”) or why so little solo music was being played. Some alert listeners picked up on the fact that selections from “Sgt. Pepper” were bouncing between the 2009 stereo and mono remasters and Giles Martin’s 2017 remix. Others, clearly people who don’t listen to much radio, complained about the repetition of certain popular tracks. This is, after all, radio — even on the satellite — not a jukebox or an iPod. All radio stations are programmed so that what’s popular is going to be heard more often than the rest, and that’s been the case with all forms of Beatles programming over the years. Yes, one is going to hear “Hey Jude” or “Ticket to Ride” or “My Sweet Lord” more often than “Not a Second Time” or “Tell Me What You See” or “Mary Had a Little Lamb.” Since the Beatles Channel is competing with Sirius/XM’s other music channels, and since it’s a fact of life that most people listen to radio of any kind for only a finite amount of time each day, the hits and most popular album tracks are going to get the most exposure. That’s Programming 101. Overall, though, the reaction to Sirius/XM’s Beatles Channel has been quite positive. The rollout has taken place during a free listening period that ends with the beginning of June. The big test then will be to see how many people decide to pay for, as critics put it, music that one easily can get for free elsewhere. This entry was posted in Uncategorized and tagged " Apple Corps, "Sgt. Pepper, Al Sussman, All Starr Band, Beatlefan, Bill Flanagan, Breakfast With The Beatles, Chris Carter, Chuck Berry, Dennis Elsas, George Harrison, Jeff Jones, Joe Johnson, John Lennon, Paul McCartney, Peter Asher, Ringo Starr, satellite radio, Sirius/XM, Something New: The Beatlefan Blog, The Beatles, the Beatles Channel, Tom Frangione. Bookmark the permalink. I’ve been listening on and off since the first day. I have heard some of the same songs during that time. I heard Paul’s ‘So Sad’ 2 consecutive mornings around the same time. I think another one of Paul’s many ballads could’ve been played, maybe one that wasn’t a single release or played within the last 24 hours. Overall, I’d give the channel a B+ so far. I understand that this is radio and a steady diet of rarely played deep album cuts and B sides might chase listeners to the Springsteen channel or one of the other dedicated ones. But as a Beatle fan I want to hear the seldom played songs from solo albums and B sides as well as the more well known hits and album cuts. If we can’t get this variety and comprehensive programming on a Beatle station than I’ll rely on the other Beatle shows that are on terrestrial radio. I have found it enjoyable except when they play cover versions of Beatles songs. If the Beatles were connected – such as The Silkie’s version of “You’ve Got to Hide Your Love Away,” then it can serve as a history lesson. If it’s the Indigo Girls singing “Love Me Do,” then it’s useless filler. There are hundreds of thousands of bands who have played Beatles covers, and I can count on one hand the covers that come close to the originals. The solo stuff makes the channel much better. Where else am I going to hear George’s material from Gone Troppo or Ringo’s post-Apple material? The Beatles did not exist in a vacuum. The cover songs tell an important part of the story: the influence of the Beatles. There are many hundreds of incredible Beatles covers, you can only count them on one hand because you haven’t heard them. 24 hours of the same voices gets tedious; it is nice to break it up with a different voice doing a different take on one of their songs. I don’t know why, but Beatles fans are so afraid of trying other music very much; so many of them have such narrow tastes that even a third rate solo album is hailed as a masterpiece. Frankly, that’s why I won’t listen to it. There’s too much better music out there to spend time on than tracks from “Gone Troppo” You would probably never agree about that, but it’s true nonetheless. I’ve found it to be highly redundant. There’s so much solo material to add in there – the good, the bad, and the ugly. Play She’s My Baby from Wings At the Speed of Sound, Oh Yoko! from imagine, That’s The Way It Goes from Gone Troppo. Agreed. There’s tons of songs that could be played instead of the usual suspects. There should not be a need to play ‘So Bad’ every other morning for example. I’m surprised that their playlist seems to be so unimaginative and limited. Play everything!!! I Love the Beatles. Some of the covers are unnecessary as mentioned above. But, I’m on the beach on Maui trying to enjoy the Beatles. The town halls and stuff are interesting but I’m listening for the music!!!!!!!!!,!! For the love of God, just shut up and play me some BEATLES!!! !